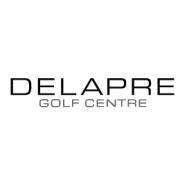 Delapre Golf Centre, Oaks is a public golf course located in Northampton, England. Rental services are available including motorized carts and pull carts. The practice area at the facility includes a lighted driving range and a seperate putting green. Food and beverage options include a restaurant with full service bar. Banquet facilities are also available for hosting special occassions or events.